A riding vacation for riders. The Willamette Coast ride is a once in a lifetime experience that offers riders a chance to see some of the most beautiful and varied scenery in the Pacific Northwest and in the country. 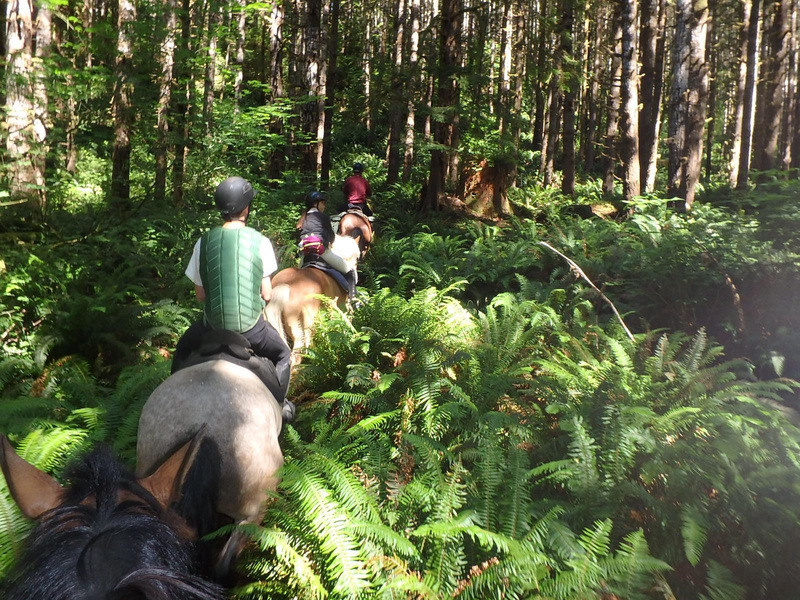 This equestrian holiday is a progressive ride that covers terrain in three very distinct environments. Riders will experience the picturesque agricultural land – the Willamette Valley, ride through portions of Coastal Range Mountains – Oregon’s temperate rain-forest and the awe inspiring coast where the majestic Pacific shapes Oregon’s beaches. The Willamette Valley is where we will start and end the week. And that is pronounced: wil-lam-ette – an easy and somewhat satirical rhyme we locals use to help people remember is: “Wil-lam-ette Damn it!” The Willamette Coast Ride experience is a little bit of Ireland on the west coast of America. A European feel from your host and the horses, with the west coast sense of adventure. Riding the Willamette Coast Ride is a real ride, a ride for intermediate to advanced level riders. Ability to canter is required. The week is both rewarding in the riding that we do, but also grounding, for spending time in nature and with our equine athletes gives us time and place to feel part of the natural world, to appreciate its awesomeness, to let go of our man-made stress and high connectivity and reconnect with the land, the forest, the surf. Whether it be introspective or removal from the daily stress every rider gains some sort of perspective on the ride. The journey begins here in the famous Willamette Valley where the Oregon trail ended and a beautiful place to keep horses. Riders will ride in a vineyard and go for a wine tasting to not only see the vines but taste what these beautiful vineyards and talented winemakers produce. 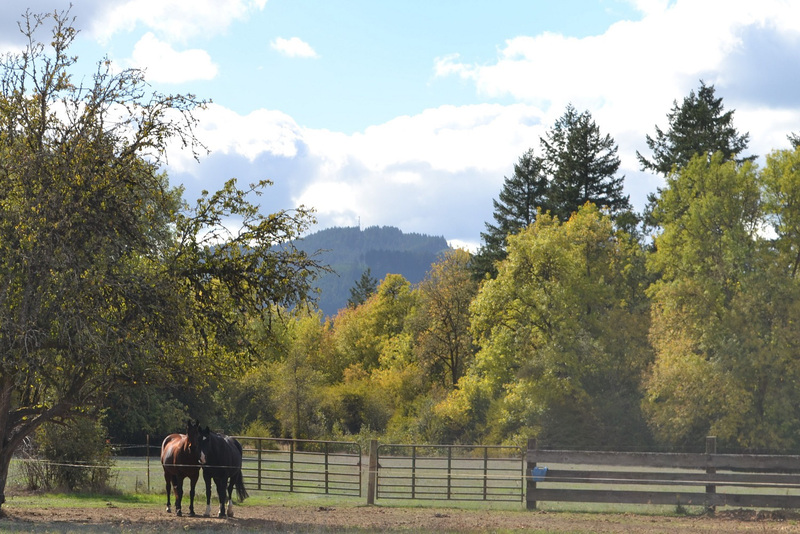 Will be spent traversing the Coastal Range; we will leave our farm with the horses in tow and begin the journey at the top of the first range. 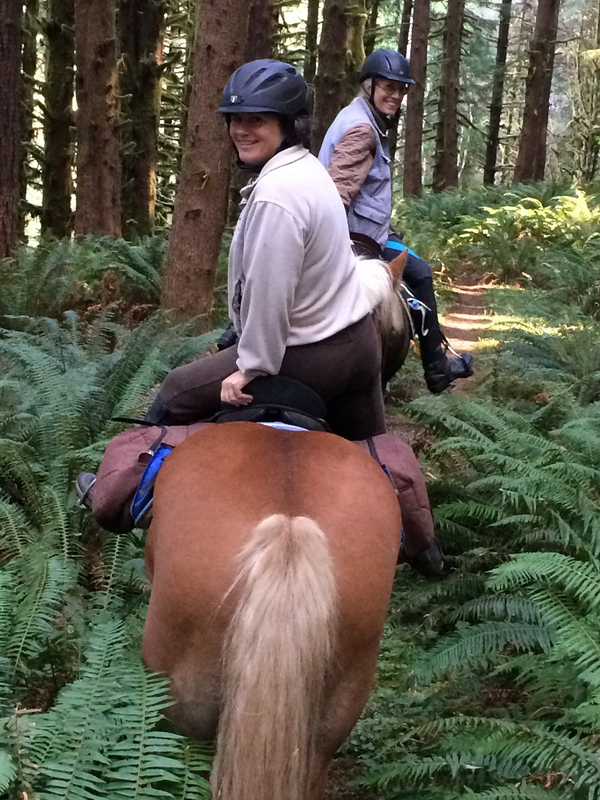 Riding in the forest can afford riders the chance to see a spotted owl in its habitat, elk, deer and for very few mountain lion as well as mossy covered old oaks and towering firs, wild mushrooms (some are even edible), and the crystal clear Nestucca River winding its way through the mountains. At the end of each day, after dismounting and untacking your steed the horses will be stabled with a local farmer. Riders’ excitement mounts for the wild and expansive Pacific Ocean, ride the expansive beach and see the Nestucca River empty its waters in the Pacific. We’ll explore tidal pools and freshwater creeks, feel alive riding with the breath of the ocean on our faces! After returning to the valley, yet another change of scenery to rolling hills and vineyard land; Oregon’s wine country. Ride in an estate vineyard and taste their award winning Pinot Noir. Farewell dinner this evening and riders return home the following morning. Looking for more information and pricing on our rides and services? Get a hold of us here.